Click here to watch Rick Parfitt's Facelift Demonstration Video. Please visit us again for details. 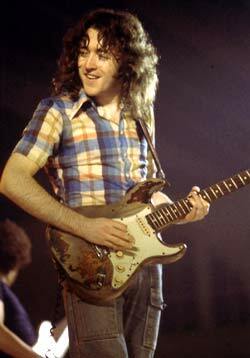 Facelift has added Rory Gallagher's iconic '61 sunburst Fender Stratocaster to its 'Signature Series'. 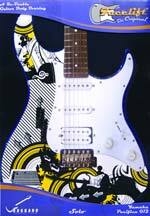 "We've been looking for a worn, distressed guitar image for our Stratocaster range for a while now," says Mike Hrano or Rockano Productions, which produces Facelift, "and they don't come more played-out and rocked than Rory's legendary instrument. It's a great honour for us to be associated with Rory and to have worked with his brother, Donal, and Donal's son, Daniel, to make this happen. The result is that Rory's Facelift will relic any guitar in an instant, without being permanent." 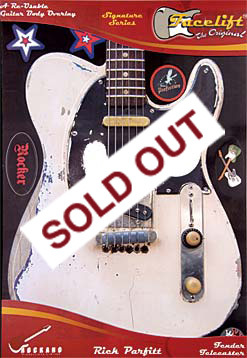 Rockano used photographs of Gallagher's Strat to create the 'Rory Facelift', which joins the 'No.1 Telecasters' used by both Francis Rossi and Rick Parfitt of Status Quo in the 'Signature Series'. "For a while during the '70s, Quo and Rory shared management and we toured together in America, so we knew each other well," says Parfitt, Facelift's inventor and co-owner of Rockano. "Rory was such a sweet man and an unbelievable musician - with a guitar to match. I'm so pleased and proud that Facelift has been able to reproduce it and help to keep Rory's fantastic legacy alive." Commented Donal: "The Facelift is a true image replication of Rory's prized instrument. Its weathered appearance was gained from blood, sweat, and tears during his constant touring of the globe. 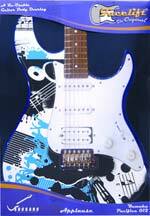 In fact, my brother was alarmed when first the paintwork on his guitar began to peel. He was at a loss as what to do, but then they didn't have Facelifts!" 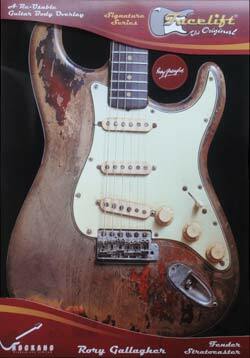 Buy the Rory Gallagher Facelift from the Facelift Store. 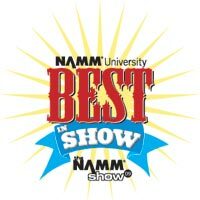 FACELIFT IS 'BEST IN SHOW' AT NAMM! 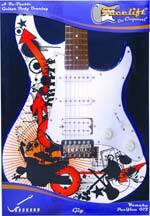 Removable guitar body overlay Facelift won 'Best In Show' at the annual Winter NAMM event in Anaheim, California, during January. The news was announced on the final morning of the four-day show, attended by more than 85,000 Music Industry professionals, after seven industry experts had trawled the trade exhibition to identify the best products and companies. with two options for the 112V and three for the 012 and 112J models. 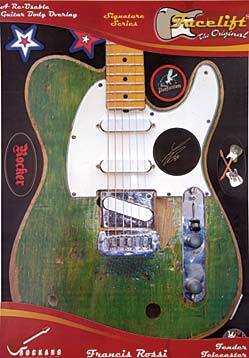 Four eye-catching Telecaster designs with bonus overlays! Six striking Stratocaster designs with bonus overlays! Our 'Signature Series', featuring overlays of famous guitars, with Telecaster Facelifts for Francis Rossi and Rick Parfitt of Status Quo. 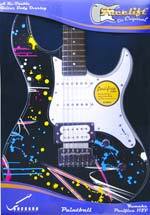 official licensee of Fender vinyl guitar overlay products and is using FMIC's trademarks with express permission. Yamaha, Pacifica, the 'three tuning fork' device and their logos are trademarks of Yamaha Corporation. 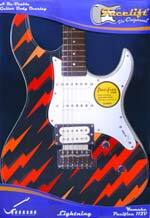 The Facelift - Created & Developed in the UK by Rick Parfitt & Mike Hrano for Rockano Productions Limited. All content and images copyright © 2017 Rockano Productions Ltd. All Rights Reserved.